The International Rescue Committee (IRC) responds to the world's worst humanitarian crises and helps people to survive and rebuild their lives. Founded in 1933 at the request of Albert Einstein, the IRC offers lifesaving care and life-changing assistance to refugees forced to flee from war or disaster. At work today over 40 countries and 22 U.S. cities, we restore safety, dignity and hope to millions who are uprooted and struggling to endure. 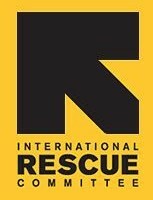 The IRC leads the way from harm to home.